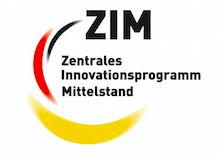 In cooperation with IBO GmbH and Leibniz Institute for Material-oriented Technologies (Leibniz IWT), BIAS – Institute of Applied Beam Technology GmbH develops innovative rolling bearings in lightweight design. 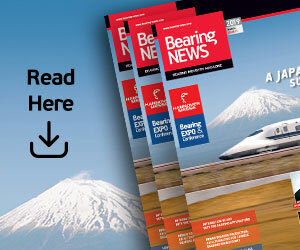 The IBO GmbH already uses the lightweight material aluminium instead of conventional steel for large rolling bearings. Unfavourable are the low mechanical properties even of high-strength aluminium alloys. Therefore, an additional raceway system made of bearing steel is mandatory. These rolling bearings are called wire race bearings. The additional race way unfortunately implies disadvantages like higher volume of the parts and as a result higher weight, production and assembly costs. Thus, the advantage of the low density of aluminium is diminished. Aim of the joint development work is therefore the local reinforcement of the comparably soft aluminium by hard particles and to manufacture this composite structure directly into the aluminium body as raceways of rolling bearings. In this way the additional raceway system made of steel can be omitted in lightweight rolling bearings. The approach is to use the additive manufacturing technology laser metal deposition (LMD) to produce single bearing components. During the manufacturing process hard particles will be injected simultaneously with the aluminium powder into the process zone to reinforce the highly stressed raceways of the rolling bearing. The principle of the used LMD-technique is shown in figure 1 a). Compared to powder bed based additive manufacturing techniques, the LMD process convinces through a nearly limitless assembly space and high build-up rates. These advantages of the laser metal deposition are mandatory for an economic additive manufacturing of large-scaled rolling bearings with diameters up to 3 m. In first tests with the high-strength aluminium powder EN AW-7075 (50 μm to 125 μm) low-defect specimens could be manufactured (see figure 1 b)). The following hardness measurements according to Vickers on a transverse section showed a low hardness value of 68 ± 7 HV0.5. 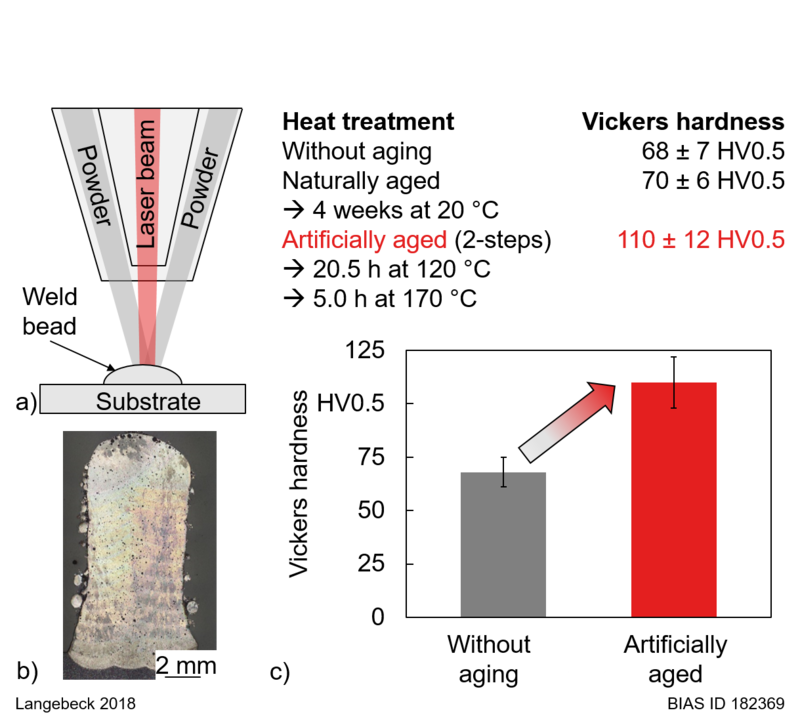 After artificially aging at elevated temperatures a higher Vickers hardness of 110 ± 12 HV0.5 was measured (see figure 1 c)). This shows that already artificial aging, without a previous solution treatment after the LMD process, leads to a significant increase in hardness. Figure 1 a) Schematic sketch of the LMD-process; b) Etched transverse section of an additively manufactured specimen out of EN AW-7075; c) Averaged hardness values of EN AW-7075. To reach higher local strength, hard spherical fused tungsten carbide particles (SFTC) (up to 3,000 HV0.1) will be injected. This shows another advantage of the LMD technique. In addition to the matrix material EN AW-7075 it is possible to bring simultaneously SFTC particles into the process zone. Via a Y-tube element, a second powder hopper with the hard particles can be connected to the powder nozzle to inject the hard particles. In one step both, the aluminium matrix material and the hard particles for the reinforcement can be brought into the process zone during manufacturing of the rolling bearing raceways, which can be applied locally and simultaneous to the build-up process. The spherical fused tungsten carbide particles will not be melted by the laser beam and will therefore be dispersed in the aluminium matrix. Figure 2 shows the schematic transverse section of the build-up structure to generate a bearing component out of single weld beads. First circular weld beads with increasing radius are welded by LMD side by side until the required outer diameter is reached. Subsequently further layers of circular weld beads are generated on top of the first layer to reach the required height. 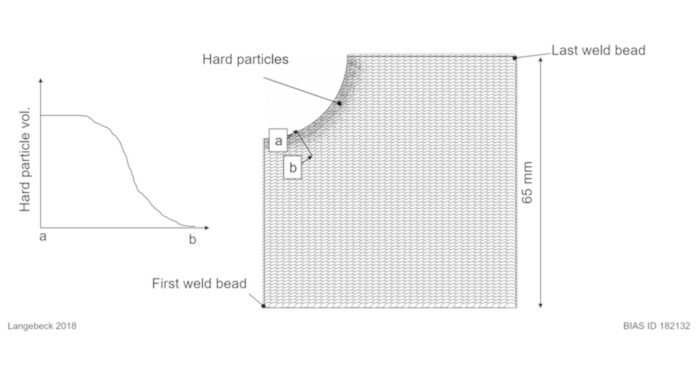 Figure 2 Schematic transverse section of the build-up structure to generate a bearing component out of single weld beads with graded hard particle reinforcement. The research work focuses on improving the weld bead and build-up quality as well as the rather heterogenous aluminium-SFTC composite structure. Despite the near-net-shape manufacturing capabilities of the LMD process, post-processing is necessary to gain the final contour and to separate the part from the build plate. To achieve the necessary roughness and fatigue properties for a rolling bearing, suitable process parameters for the machining of this extremely heterogenous composite with a soft aluminium matrix and significantly harder SFTC particles need to be determined. The innovative combination of aluminium with local reinforcement by SFTC requires new calculation approaches to design additively manufactured lightweight rolling bearings. 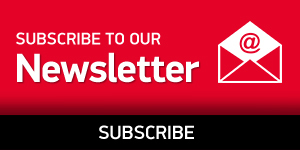 With the IBO GmbH this joint development work is supported by a competent industry partner with an extensive expertise in constructive design and production of rolling bearings made of various materials. 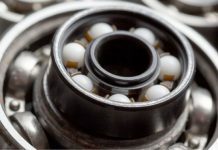 The cooperation between BIAS, IBO GmbH and Leibniz IWT focuses on enabling the development and future production of rolling bearings in innovative lightweight design. The future innovative rolling bearings convince through low weight and high strength in the highly loaded zones of the raceways. Due to the elimination of the additional wire raceway system by embedding hard particles, the new approach for producing aluminium-based rolling bearings has also an economical benefit. 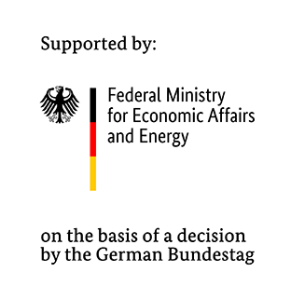 The authors acknowledge funding the project ZF4063003SU7 by the Federal Ministry for Economic Affairs and Energy (BMWi) via the German Federation of Industrial Research Associations (AiF) in accordance with the policy to support the “Zentrales Innovationsprogramm Mittelstand” (ZIM) on the basis of a decision by the German Bundestag.